When planning a long-distance move in Milford, you need to know that your moving provider has the skills and experience needed to guarantee a safe, efficient, and high-quality relocation. That’s exactly what you’ll get with the Milford, MA movers at Liberty Movers—we’ll always go the extra mile to provide you with service that far exceeds your expectations. From basic relocation assistance to full-service moving and storage solutions, we’re the moving company you can trust to handle even the most complicated relocation scenarios. Professional: All of our Milford movers are highly trained, and we treat your belongings with the same care and respect that we would our own. Cost-Effective: Expenses can add up quickly in the course of a move, but you can count on your dedicated Move Consultant to help you determine the most affordable solutions for your needs. Comprehensive: From packing and crating to storage and more, we’re the one-stop shop for a stress-free relocation. Personalized: There’s no one-size-fits-all approach to long distance moving, and Liberty Movers will treat you like family to ensure that you are fully satisfied with your experience. 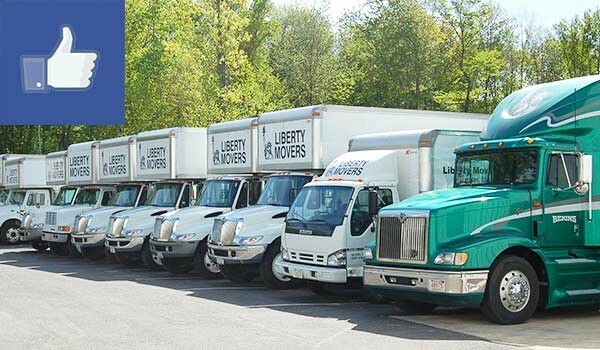 When you want to make the most out of your moving budget without sacrificing on quality and customer care, there’s no better choice than the long distance movers at Liberty Movers! Give us a call today if you’d like more information on the premier services we offer throughout the region, or fill out our online form to quickly request your free, no-obligation estimate.